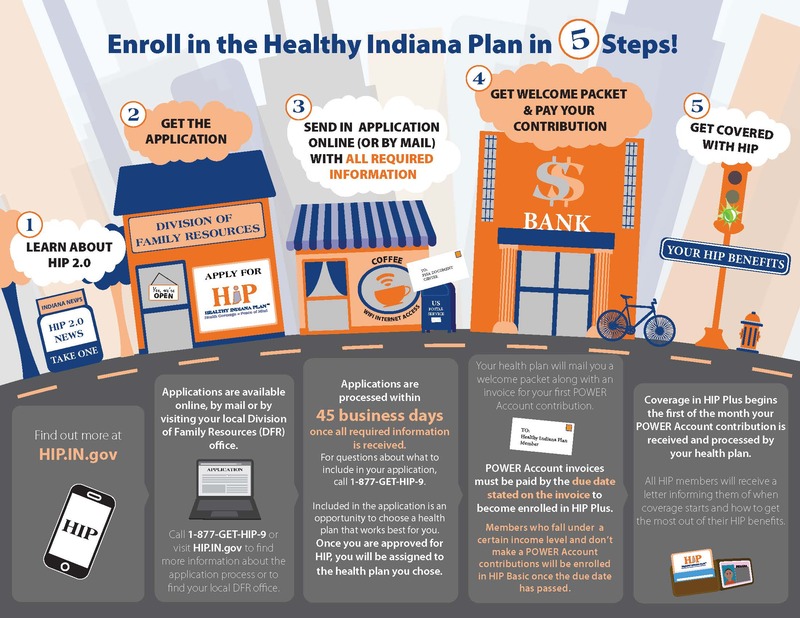 Could you qualify for the Healthy Indiana Plan? Find out! Could you or someone you know benefit from HIP 2.0? This program could provide health coverage for up to 10,000 eligible residents in Reid’s service area. Of the estimated more than 25,000 uninsured people in the Reid service area, up to half or more of them could be eligible for HIP 2.0. The plan pays for medical expenses and provides incentives for members to be more health conscious, according to the state HIP web site. Generally, coverage is for qualified low-income Hoosiers ages 19 to 64 with incomes of up to $17,443 a year for an individual, $23,615 for a couple or $35,960 for a family of four. HIP participants also need to be up-to-date on the new Gateway to Work program. Gateway to Work is a part of the Healthy Indiana Plan that connects HIP members with ways to look for work, train for jobs, finish school and volunteer. Starting in 2019, some HIP members are required to do Gateway to Work activities to keep HIP benefits. At the Patient Financial Services office, 600 East Main, downtown Richmond. Hours are from 8 a.m. to 5:30 p.m. Monday through Friday. Phone: (765) 935-8591. At Reid Urgent Care, 1501 Chester Boulevard. Hours are from 8 a.m. to 4:30 p.m. Monday through Wednesday and on Fridays. (765) 983-7976. Though waits may be necessary, on the hospital’s main campus at 1100 Reid Parkway, from 8 a.m. to 4:30 p.m. Monday through Friday. Ask for directions at the Information Desk. At Reid Health Urgent Care - Connersville, 1475 East State Road 44 in Connersville. A ClaimAid staff member is available at on Thursdays from 8 a.m. to 4:30 p.m. Phone: (765) 827-8686. The documents needed to sign up include a birth certificate, photo ID, and the last 30 days of income verification (pay stubs, etc.) for everyone in the household. Once signed up, coverage begins in from 40 to 60 days.